The Davenport nursing home abuse and neglect attorneys of Nursing Home Law Center LLC believe that one of the best ways we can promote change in the quality of treatment seniors receive in the nursing industry is to inform the public of all the facilities guilty of falling short of their duty of care. Medicare tracks and rates every nursing facility in the nation so that their transgressions are public record for anyone to see, but most people are unaware that this information is offered. We’ve used the data to provide you with a list of poor nursing homes in your area so that you can avoid the homes that have a history of ignoring patient rights in favor of profits. Medicare releases publicly available information throughout the year on all nursing homes in Davenport, Iowa based on the data gathered through investigations, surveys and inspections. Currently, the national database shows that inspectors identified serious violations and deficiencies at eleven (55%) of the twenty Davenport nursing facilities that led to resident harm. If your loved one was mistreated, abused, injured or died unexpectedly from neglect while residing in a nursing home in Iowa, let our team of dedicated lawyers protect your rights. Contact the Davenport nursing home abuse & neglect lawyers at Nursing Home Law Center (800-926-7565) today to schedule a free case consultation to discuss filing a claim for compensation to recover your damages. Davenport is the largest of the quad cities and also the third largest city in all of Iowa. It has been experiencing steady growth primarily due to the fact that it is rated as one of the least expensive places to live in the country while having proximity to Chicago, Des Moines and Milwaukee. The city has a strong manufacturing presence and John Deere is one of its top employers, with its world headquarters located in Davenport’s sister city, Moline. Seniors make up 12.6% of Davenport’s 102,500 citizens and there are many more residents who are preparing to retire in the coming years. The Center for Active Seniors provides seniors with all of the resources and programs they need to live as active and healthy as possible while connecting with others who share their interests. These programs include trips, senior advocacy, a nutrition program, social activities, fitness programs and intergenerational activities. For more information, you can visit http://www.casiseniors.org/. As mentioned earlier, our Davenport nursing injury lawyers relied on the data provided by Medicare’s nursing home compare tool to compile the following list of nursing homes in your area which are renowned for their poor care. You may use the same tool to compare other facilities to determine which is most likely to provide the level of care you demand for the people you care about. The tool is available at https://www.medicare.gov/nursinghomecompare. Primary concerns: Manorcare is a for profit nursing chain that has appeared on our lists in other regions as well as Davenport. Its consistent poor ratings are an example of how the incursion of for profit corporations into the industry has negatively impacted the quality of care. This facility’s staff is at a barebones level, for example, which has resulted in a horrid health inspection history and two star quality measures score. Primary concerns: The primary demerit for this center is its health inspection history. Facilities may receive violations if they fail to provide a clean environment free of disease, clutter and other environmental hazards. Other health and safety concerns could include errors in how medications are administrated or poor hygienic practices. Primary concerns: There is not a single area of evaluation where this facility excels. It has received poor or very poor ratings across the board and it is easy to suffice that its severe understaffing concerns could be the root of all its issues. It is common practice for corporations concerned only with profit to reduce staff levels to eliminate expenses, but this reduces the quality of care offered— and exhibits how little they actually care about your loved ones. Primary concerns: Like the other centers we’ve covered, this home has an unacceptable staff quality rating which has impacted its health inspection record and quality measures scores. Primary concerns: Quality measures ratings gauge how well a facility evaluates patients’ needs and provides individualized methods of care for each patient. This center’s quality measures score rating suggests that it does very little to identify or address patient concerns and its staff quality and health inspection history are unacceptable. Primary concerns: Most people believe government run facilities are immune to nursing concerns, but extensive cuts to funding over the last 15 years have caused a sharp decline in the quality of care offered by these facilities. This center is plagued by numerous health inspection deficiencies and is lacking in quality measures. Primary concerns: This center’s mediocre staff is its only saving grace. Its health inspection record and quality measures score are both red flags. Primary concerns: Failure in all areas of assessment and lack of access to Medicare funding are all warning signs. Some symptoms of abuse are obvious while other people concerned that their loved ones are being mistreated simply notice small changes that indicate things aren’t right. Our Davenport nursing injury lawyers are always available to help you determine whether your concerns warrant a deeper investigation. The following are the most common indicators that you may want to obtain legal advice on how to proceed. 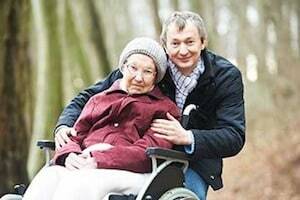 Your loved one shows physical symptoms of abuse or neglect, such as bruises, weight loss or bedsores. Your loved one’s behavior changes suddenly without a legitimate explanation. Many nursing homes will write off the changes as symptoms of senility or dementia, but you know your loved one better than they do and should investigate if he or she is suddenly silent in the presence of caregivers, experiencing bouts of anger or depression or accusing staff members of verbal or physical abuse. Your loved one is hospitalized due to medication errors, a fall or any other condition which could suggest he or she was not properly supervised or attended to. Your loved one experiences a sudden and rapid decline in his or her health without a valid explanation. Nursing Home Law Center LLC works with victims of nursing neglect and abuse across the entire country and our legal teams have specialized experience on cases similar to your own. This experience and knowledge helps give us the best chance of holding negligent nursing homes accountable for their misdeeds. In addition to providing quality legal services, we can also help you remove your loved one from his or her negative environment and find a home that will treat him or her with the respect and dignity that all seniors deserve. Contact us today to arrange a free consultation with one of our award winning Davenport nursing home abuse and neglect attorneys so that we can review all possible legal recourses with you and determine whether your concerns warrant legal action. We work on a contingency basis so that you will never be required to pay for our services upfront and are guaranteed never to owe us a thing until we secure damages on your behalf.